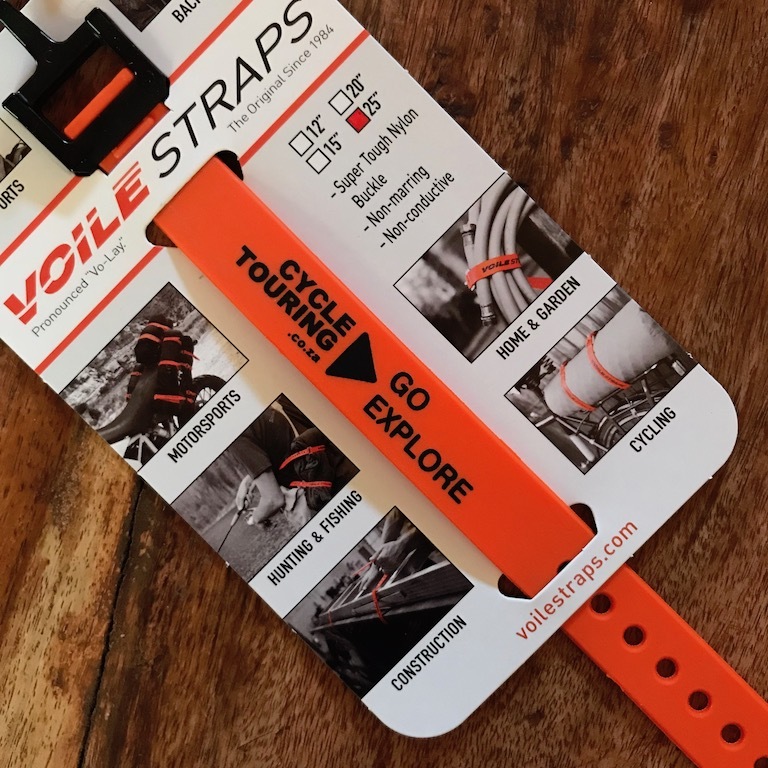 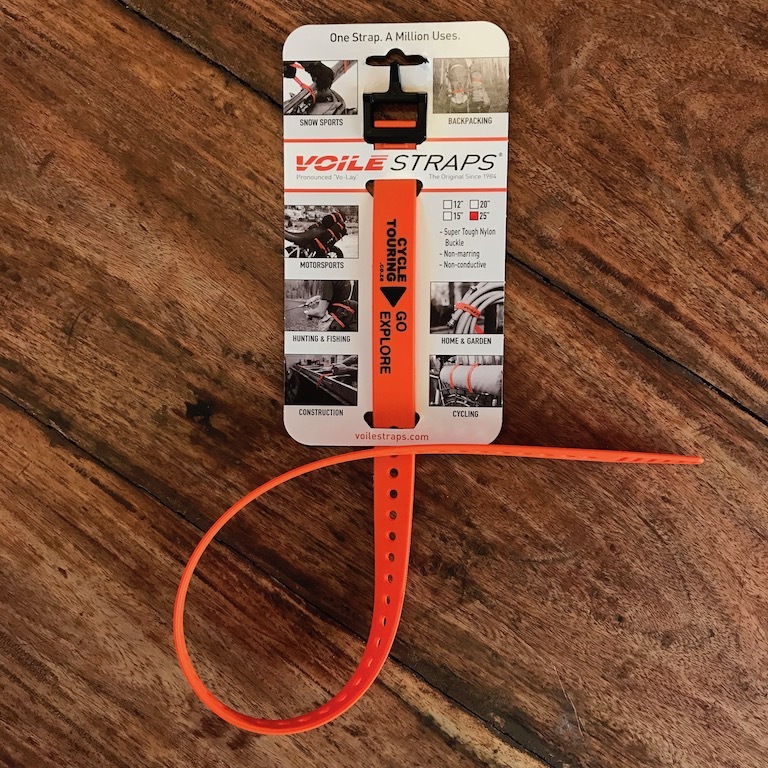 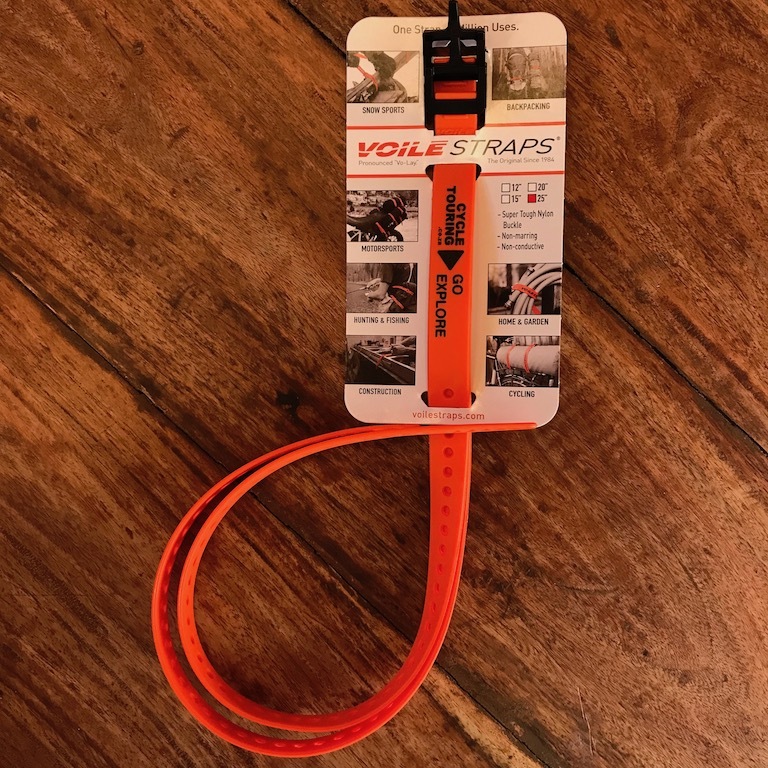 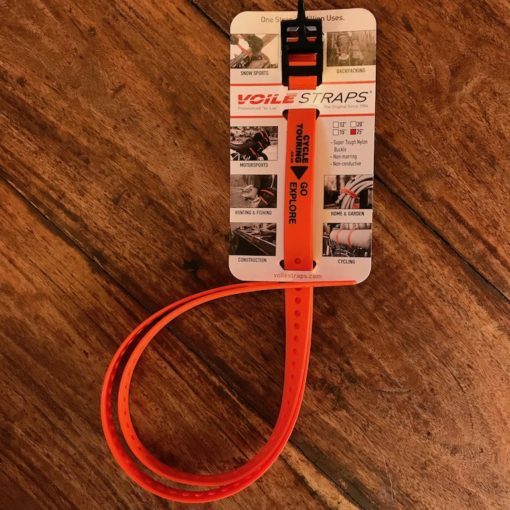 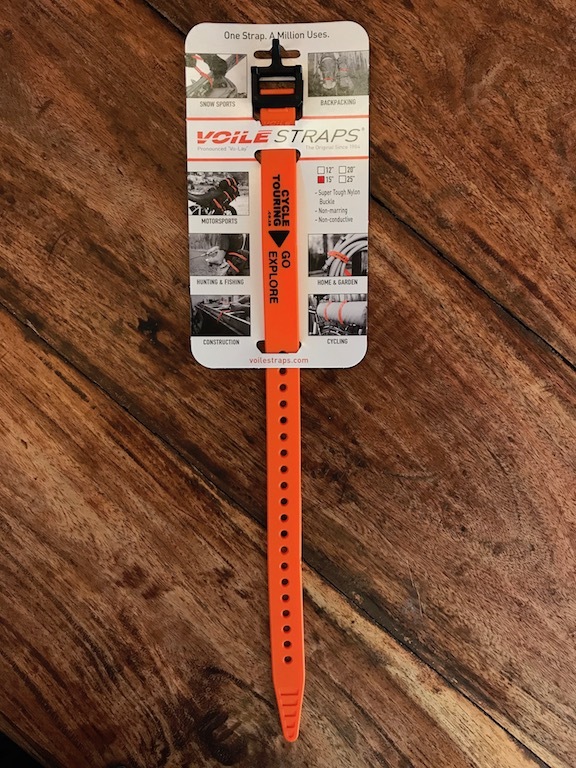 You won’t regret packing a few Voilé Straps for your next adventure. 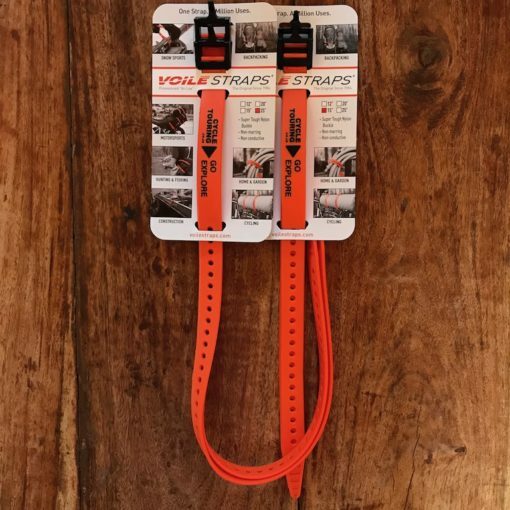 These grippy straps will secure whatever you want and they outperform traditional webbing or bungees. 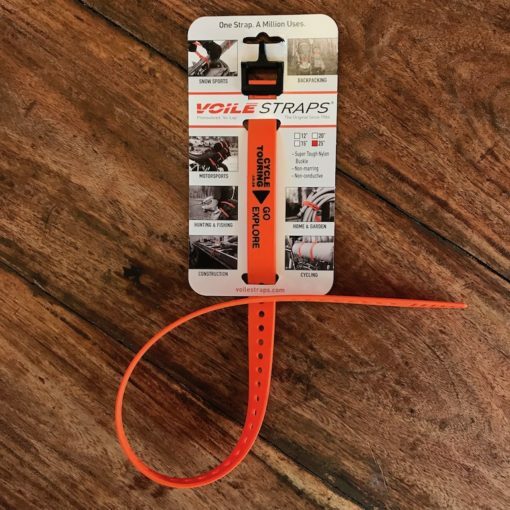 The nylon buckle is non-marring. 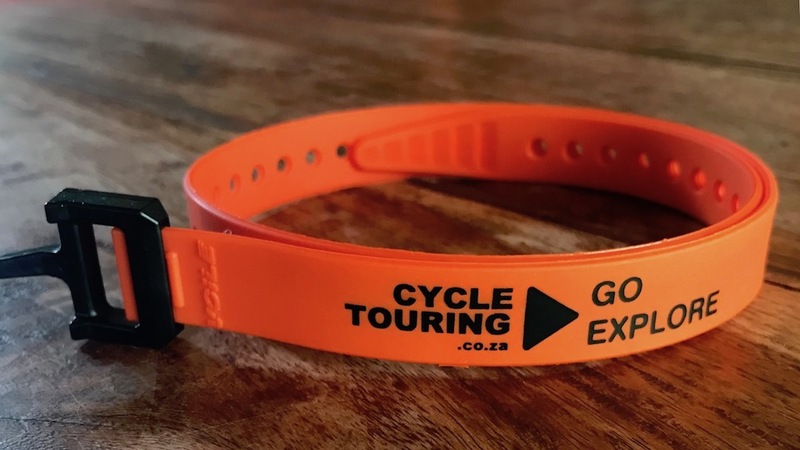 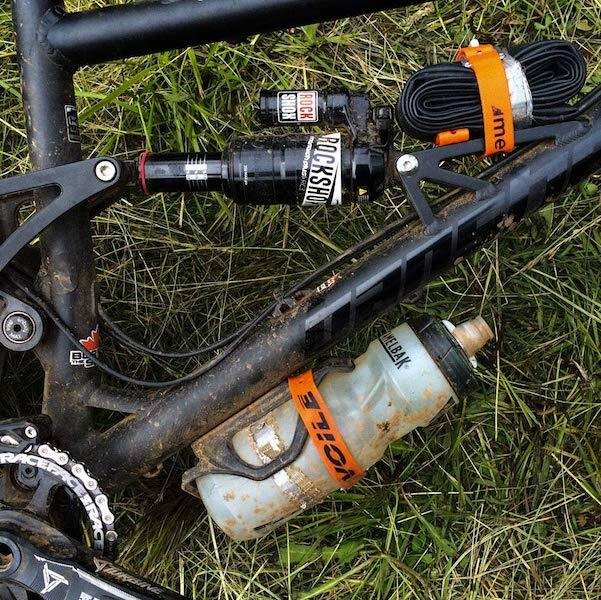 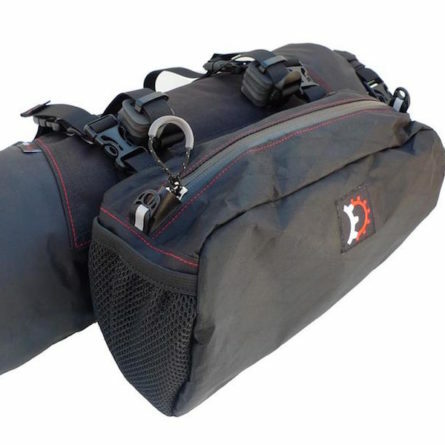 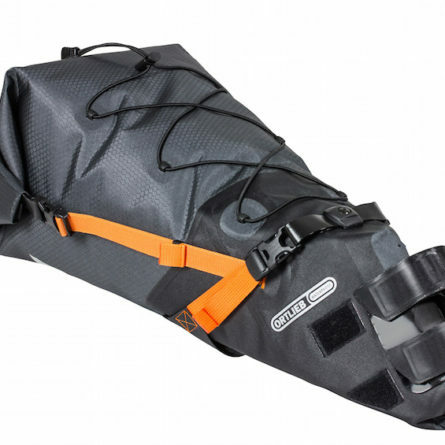 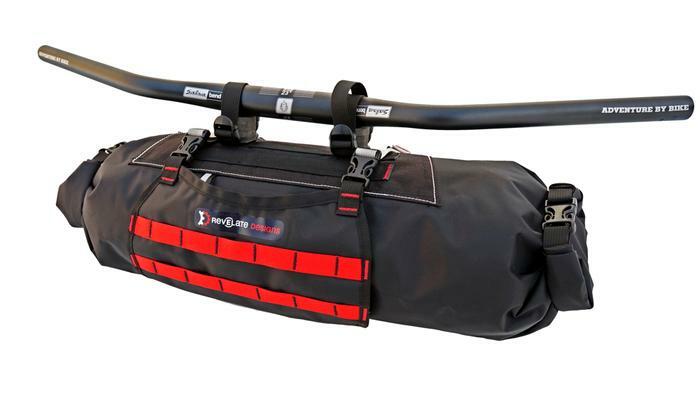 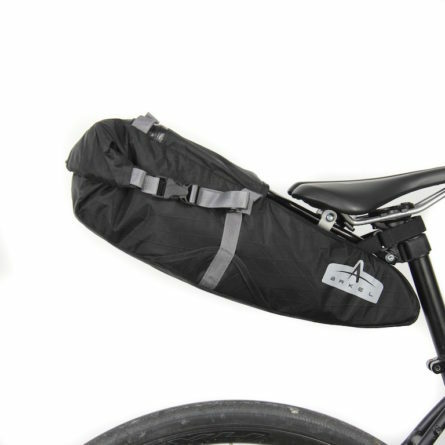 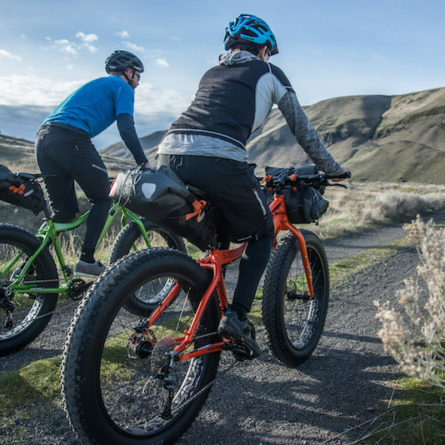 The 15″, 38cm size is good for keeping water bottles in their cages on rough dirt roads; securing a spare tube to the bike frame; holding tent poles or a camera tripod on a bikepacking handlebar pack or rear rack; etc. 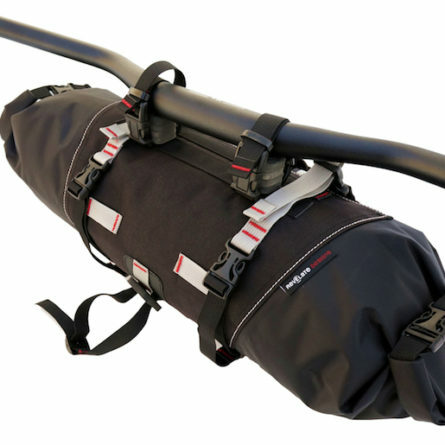 The 25″, 63cm size can be used for securing larger items like a tent, mattress, dry bag, extra clothing layers etc. 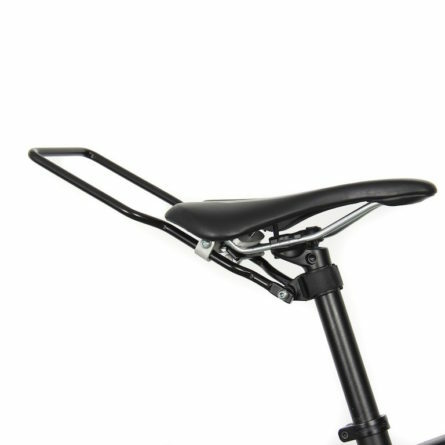 to the bike rack. 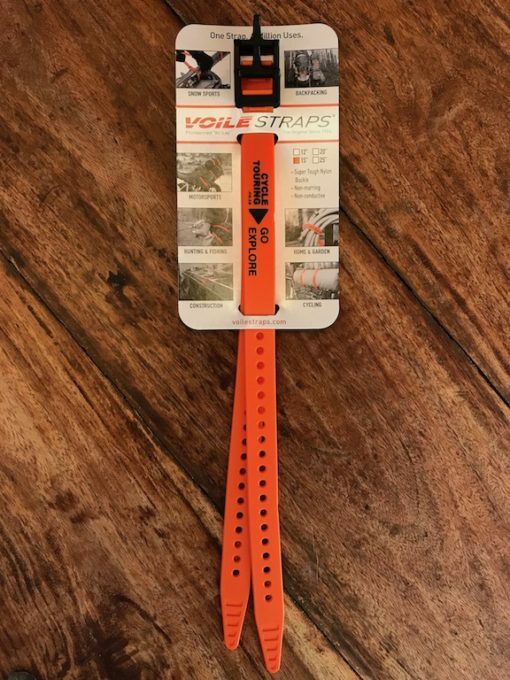 The straps can be daisy chained together to make a longer strap if needed. And when you’re not using them on tour, you’ll find endless uses for them at home or on the job.